What does it mean to be a Singaporean Malay now? TehTarik previously posted two articles (here and here) where we discussed the definition of being ‘Malay’ in Singapore. The parliament says that anyone who considers himself ‘Malay’ and is regarded as a ‘Malay’ by the community itself, is a ‘Malay’. Mendaki even has a list of races that qualify as being ‘Malay’. The elections are over and the question of race has died down so what now? The community must understand that we are quite blessed to be a Malay in Singapore. Malays are considered the indigenous people of Singapore. (Does the story of Sang Nila Utama and how Singapura came about ring a bell to anyone?) Our national anthem is in Malay. The Malay language is one of the official national languages of this country. TehTarik can’t imagine being a brother or sister from the other ethnic communities being born in a country that has a national anthem in a language they don’t grow up learning. Only years later in school do we learn about our history, the differing cultures and how we live in racial harmony. Speaking about racial harmony, it’s not easy being a Malay in Singapore. Granted that every ethnic group has their own fair share of struggles but despite being supposedly ‘special’ and one of the ‘indigeneous’ people, it gets pretty tough when we are a minority. If we ask Malays on the streets, we’re sure that they are familiar of the stigma of being Malay – lazy, uneducated, drug peddlers or glue sniffers… Right? We don’t expect the nation to give us any special treatment but to recognize us as another Singaporean trying to make it in this world, equal to a Singaporean of any other race. There are a few of us who have had difficulty excelling in academics (but maybe that’s because they’re better at other things apart from academia?) or who have criminal convictions to their name (but maybe it’s because they come from a poor economic background or they simply befriended bad company?). They are not a representation of the entire Malay community. There are also some of us who work hard, strive for education, want to earn an honest living for their families and themselves, who just want an equal chance to fight for success. An equal chance just like the Chinese, Indians, Eurasians or any other ethnic community that identifies as a Singaporean. It is also time to stop denying that racism exists in Singpore. Apart from the stereotypes, don’t think we never noticed the harsh comments/jokes against the Malay community throughout the elections. Some of the comments get redirected back to us and frankly, we’re tired of the hate. We can’t control what’s past but we can control our actions. TehTarik believes that Singaporean people are people of merit and the race card should not come into play anymore. Our pledge states “regardless of race, language or religion” so this is a call for everyone to actually start practising it. Growing up as a Malay Muslim is doubly hard when terrorism threats are a growing fear across the globe. (Please also recognize that not all Malays are Muslims and not all Muslims are Malays.) 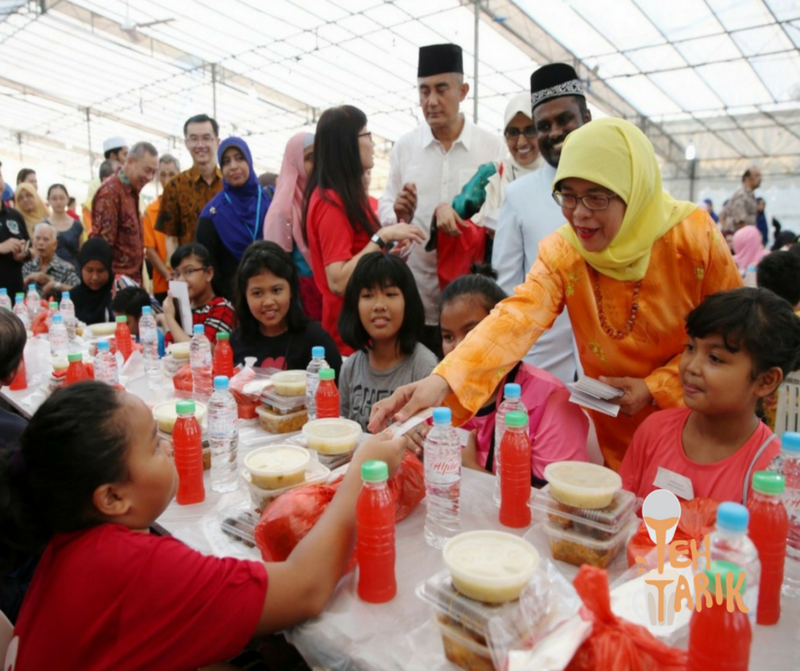 Will the Malay Muslim community be discriminated against with the rise of radicalism? Will our other Singaporeans brothers and sisters cast us aside? It sounds a little far fetched if you live in a little bubble of optimism but these are legitimate concerns. Being an adult, there’s no room to throw tantrums or whine about how unfair life is. It’s one thing to call for everyone to be racial blind and religion blind for the progress of the nation but we as a community must also put our best foot forward. If you are a Malay reader reading this, haven’t you ever wondered why it is so hard for our Malay community to prosper? We may have a special clause in the statute but we should not be complacent and think that Singapore owes us a living (or expect Mendaki to help us all the time, ahem). If you’re a Malay and you’re upset with the way people view you in Singapore, then work hard and prove them wrong. If you see a job ad that requires only Chinese-speaking individuals, don’t go on a rampage complaining that the job market is racist because maybe the employer was looking for someone who could converse in Mandarin. (You guys know that China is a viable business market to tap on, right?) If you hear a fellow Malay succeeding, recognize their achievements because it means that another Malay brother or sister has made it and there’s one more Malay brother or sister supporting them. It’s about time for us to wake up and progress. Your circumstances are not your limits. We are capable of so much more.